Every body makes them. Everybody breaks them. You know what I'm referring to, right? No, not paddles. They're New Year's resolutions. So here's your chance, if you haven't already made one (or made one and broken it already). 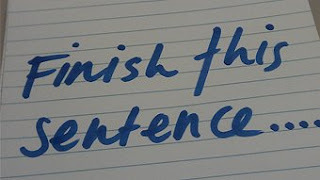 Finish this sentence, if you dare, and I will put up the complete list on Saturday. ... spend money more wisely and write shorter blog posts! ...... go into the world unashamed of my need for submission! Ask Dragon for the much needed weekly spanking even when I'm not in the mood. ...to find a "young lady" to spank on a regular basis.